EU investigation of the paper by Gilles-Éric Séralini comes as much-needed validation for scientists and farmers in India who have been pushing for GM crops. Bengaluru: A European Union-funded investigation has concluded that an infamous 2012 research paper on genetically modified (GM) food, authored by controversial French molecular biologist Gilles-Éric Séralini, does not meet scientific standards. The Séralini research paper had studied the effects of GM corn on rats for two years and claimed to have found a high incidence of tumours. The €15-million EU study has now found that the Séralini paper is not replicable. It published its results on 29 April. Replicability is an important aspect of scientific research; a study is considered to have concrete conclusions only when it can be independently replicated. This is the third EU study to disprove the results of Séralini’s study. The EU findings could have massive implications for India. 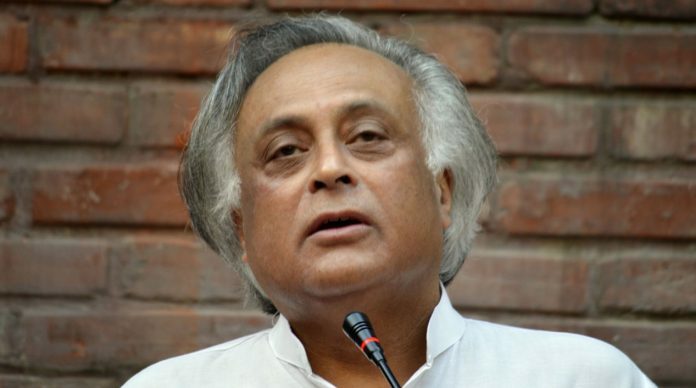 In 2010, then environment minister Jairam Ramesh justified the ban on Bt Brinjal citing an earlier Séralini research paper, published in 2008. Jairam had said that more research was required to confirm the safety of Bt Brinjal, developed by the Maharashtra Hybrid Seeds Company (Mahyco) in collaboration with Monsanto in 2000. He had quoted Seralini’s study on rats in 2008 to back his decision. It immediately led to a backlash from Indian scientists, who pointed to the lack of peer reviews of Séralini’s study, which was funded by Greenpeace, and claimed it contained irregular statistical methods. But the ban stayed, with the Supreme Court later ordering a moratorium on all field trials of GM crops for 10 years, despite extensive results from rigorously conducted studies showing they’re safe for consumption. Séralini is the president of the scientific advisory board of the Committee of Research and Independent Information on Genetic Engineering (CRIIGEN), a body that strongly opposes GM foods. His 2012 study was bogged by controversy right from the start. In the study, funded by CRIIGEN, he fed 100 male and 100 female Sprague Dawley rats varying proportions of GM corn, in conjunction with herbicide glyphosate. His results claimed that rats fed the most GM corn had high incidence of tumours. For starters, Séralini released his results in an overtly confidential manner, providing access to journalists on the condition that they do not discuss his results with other scientists before a press conference where he announced the results. At the press conference, he displayed images of rats with cancerous tumours that were promptly picked up. The images that showed the cancerous rats were not presented alongside images of any control rats, and thus had no context. Moreover, to accurately obtain results, the Organisation for Economic Co-operation and Development (OECD) guidelines state that each group of Sprague-Dawley rats in a study should contain at least 65 individuals due to their high mortality; Séralini had split his rats into groups of only 10. The results also didn’t specify any data on the amount of food or their own growth rate; rats are susceptible to cancer when their food intake is unrestricted. The research was not peer-reviewed well. Canadian, French, Australian, Kiwi, Danish, Belgian and a number of other food and drug safety agencies found glaring flaws in the study and conducted their own safety research that completely contradicted Séralini’s work. The European Society of Toxicologic Pathology also called into question the legality of the study given how the rats had been treated through its course. Following worldwide criticism from the scientific community, the study was retracted by the journals as the data was inconclusive. It was then republished in 2014 without peer review. The study isn’t the first time that Séralini’s results have been called into question. In 2007, in a Greenpeace-funded study, he claimed that rootworm-resistant Bt Corn caused health problems in rats; the European Food Safety Authority (EFSA) investigated and concluded that all health parameters stated by the study fell in the normal range and weren’t unusual. A similar pattern followed in his 2009 study on rats’ liver and kidney damage upon consumption of more strains of corn; the French High Council of Biotechnologies Scientific Committee (HCB) concluded that he had used incorrect methods to establish claims that weren’t backed by his own studies. The scientific backlash started a wave of back-and-forth between scientists and CRIIGEN, typical of the way the anti-GMO discourse works. The latest study results are the third of three biggest EU investigations into the 2012 Séralini paper. The two other studies also concluded that GM corn is absolutely safe for consumption. The EU investigation offers much needed validation for scientists and farmers, especially in India, whose voices and needs have been stifled by pressure from anti-GMO activists and previous governments. Séralini’s paper had then contributed to the growing, unfounded mistrust in GM foods, effectively killing the Bt Brinjal programme. Bt Brinjal had undergone over 10 years of extensive safety research. Things could look up a little for India today, but any progress is dampened by uninformed concerns with little bearing. Last year, the Genetic Engineering Approval Committee (GEAC) approved GM Mustard, the first GM food crop in the country. But in 2017, anti-GM groups pressured the government to ban the crop, despite countries such as the US and Canada having grown its GM relative — rapeseed — for nearly 20 years. In 2015, India became the top producer of cotton thanks to Bt Cotton. As awareness increases among Indian farmers, they have themselves also started making demands for GM crops that could ensure their livelihood. Hopefully the current Indian authorities are educated and humane enough to allow GE Brinjal and also have the integrity and functioning spines to do so. Will the Indian Supreme court lift the 10 year ban?